Description: From a Sofi™ Silver award-winning producer, this artisan Serrano Honey Vinegar is a beautifully complex vinegar that is a prized ingredient by many of our chefs, caterers, and home cooks. It is a well-balanced all-natural condiment that is sweet, tart, spicy and made from 100% honey and serrano chilis. With a complexity that continues to build on the palate, this unique vinegar makes a great addition to salsa, Ceviche, Bloody Marys & shrimp. Tasting Profile / Serving Suggestions: This Spicy Serrano honey is especially delicious when drizzled over sliced tomatoes, and fresh mozzarella cheese. Enjoy over leafy greens, roasted potatoes, pasta and rice salads! It also makes a wonderful marinade or glaze on chicken and in chili. Toss lightly with sliced strawberries and a grinding of black pepper for a delicious dessert. For a unique twist, substitute traditional wine vinegars for the Serrano Honey Vinegar. 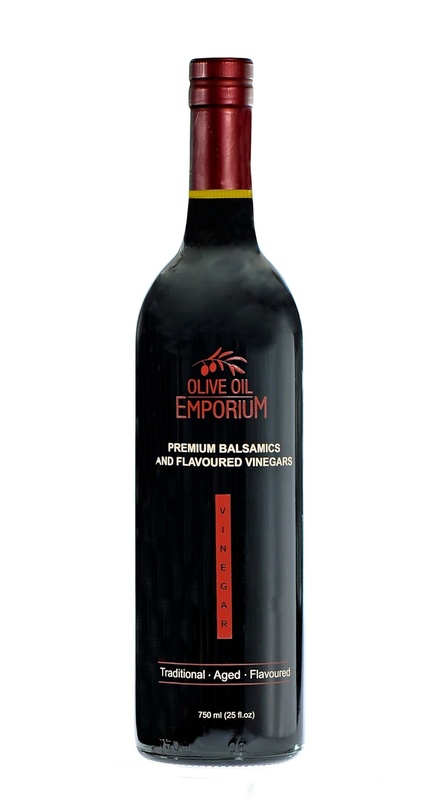 A great vinegar to use when layering your flavours in sauces, and to deglaze a pan. As an added bonus, our Serrano Honey Vinegar is completely Sulfite Free!